I don’t really know what to do about this. I absolutely have to rave about these, so please excuse me if I go on and on about this, but if you do choose to stick around you may learn a thing or two. Plus there is bacon in it so, why not? You can do so many things with meat and there are so many gorgeous and delicious recipes out there, but this one is a huge step up in my opinion. It is so uncomplicated, simple and actually quite inexpensive yet it provides the most rich, flavorful, succulent melt in your mouth meal that I personally think will be incredibly hard to beat. It feels and tastes like the most expensive meal you could get on the menu of the nicest restaurant in Paris. I, of course, am talking about beef short ribs. If you don’t know what beef short ribs are they are a specific cut of beef cut from the rib and plate primals and even a small corner of the square cut chuck. Luckily my buddies over at US Wellness Meats sent me a wonderful assortment of meat including these beautiful short ribs. This cut of beef is not only incredibly inexpensive, but if cooked correctly it’s easily one of the most decadent, intoxicating slab of muscle you will ever lay on your tongue. Now when it comes to cooking short ribs there are many ways you can do it, and most of them turn out great. Although you have to remember is that short ribs are threaded with a lot connective tissue meaning that if you just throw it on the grill or in the pan like a regular steak your probably going to come out with a very chewy tough piece of meat. That’s where the beautiful cooking technique known as braising comes in. I am not a braising expert (yet) but I have been reading up a lot on braising in a book I recently got called All About Braising. I know it sounds cliche but it’s probably one of the most useful cookbooks I have ever read. The author describes braising as the art of uncomplicated cooking. I tend to agree with this to the fullest extent because it doesn’t require much effort and the results are almost always amazing. It’s foolproof really, you would really have to try to mess up a braise in order for it to not come out good. It really comes down to your taste and what your sense of taste is, which will end up showing in any braise you make. The idea behind braising is to first brown your choice of meat in some type of fat, adding aromatics such as vegetables and herbs in which the possibilities are practically limitless, and then deglazing the pan with some sort of liquid. All of those minus the meat are going to make up your braising liquid in which you place your browned meat back into and then let it cook slowly in the oven. When it comes to choosing what your going to cook it in I highly suggest investing in a nice dutch oven such as a Le Creuset. I absolutely love my Le Creuset because it’s surprisingly versatile, easy to clean and makes the best braising pot. Any braising pot or dutch oven will do quite well but I seriously think there is some kind of magic behind a piece of Le Creuset cookware. That said magic is actually quite scientific when you look at it. When you cook a piece of meat the liquid slowly seeps out in the form of steam, hence the sizzling you hear when you cook. When you braise something you allow it to sit in the gorgeous amalgamation of flavors of the braising liquid while the liquids seep out, thus adding flavor to the braising liquid and then recycling the flavor back to the meat. 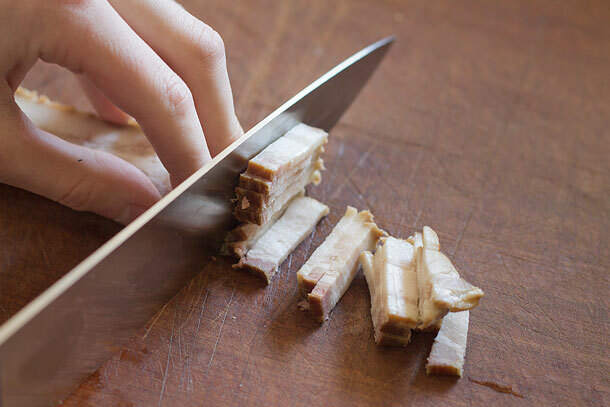 Lastly the slow cooking in the oven allows all of those connective tissues and fat that string all through tough pieces of meat to break down and melt away. Leaving you with incredibly tender, undeniably alluring melt in your mouth carnivore goodness fit for a king. This makes braising perfect for just about any tough piece of meat. 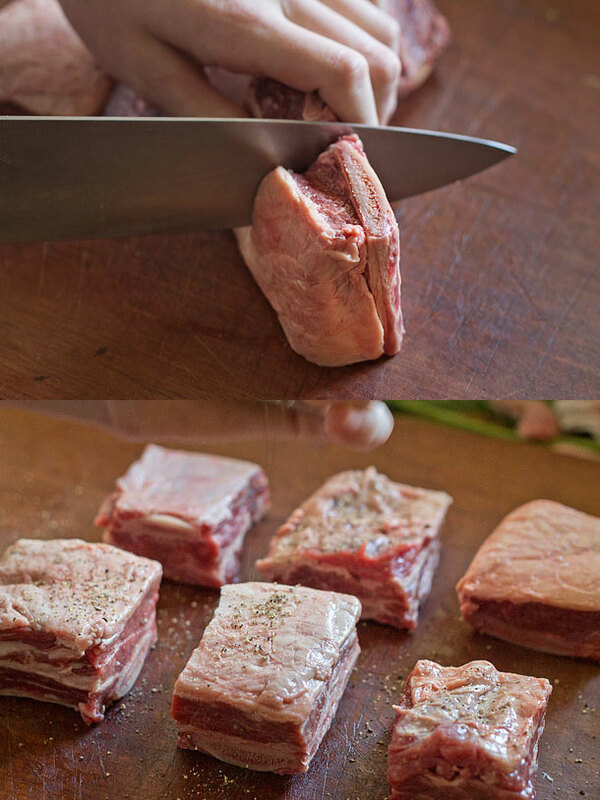 Almost as if there is a little secret inside each piece of tough meat that can be brought out by braising. Like a diamond in the rough that just needs a little bit of polishing or in this case a nice braising. All the more reason to cut costs and buy the less tender pieces of meat and give them some love in a braise such as beef short ribs. This is also probably the least stressful type of cooking for a meal to prepare for a family dinner or dinner for your friends or even a weeknight meal. It’s easy, it presents incredibly well and it is so astoundingly delicious your guests will leave thinking your the best chef alive. Lastly this goes incredibly well over mashed cauliflower and a reduced pan sauce from the juices left in the pot after straining decadently spooned over the top, and don’t forget some of those incredibly flavor packed vegetables to top as well. If you’re really bold you could just buy a ton of short ribs and make a double or triple batch for a unique and amazing Superbowl Sunday meat dish. I’m thinking a new tradition for Superbowl Sunday instead of wings, could be in motion here. If your short ribs are the whole cut with several ribs cut in between each rib evenly to give you individual cuts of each short rib. Lightly salt and generously pepper each short rib. Heat a dutch oven over medium heat and add bacon and fry until crispy and remove but leave the bacon fat in the dutch oven. 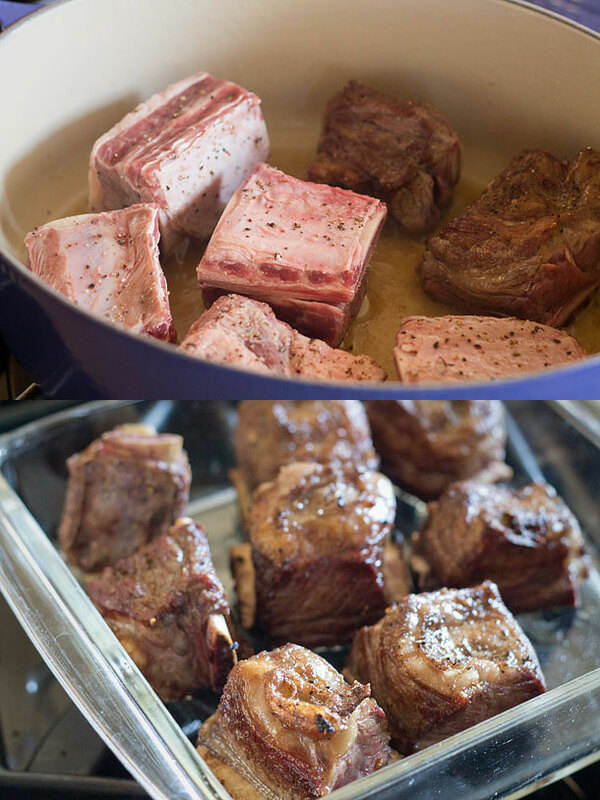 Once all the short ribs are browned nicely on all sides place all of them into a bowl or dish, place on the side and cover with foil to keep warm. 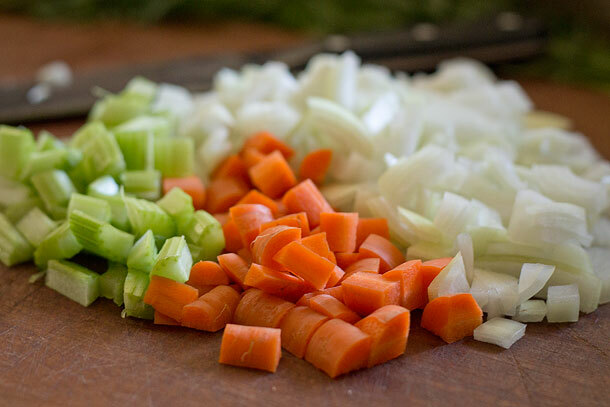 Add coarsely chopped onions, carrot, celery and tomato paste to the dutch oven and cook for a minute or two stirring often to prevent any burning. Once veggies begin to soften pour in red wine and stock and scrape the bottom of the dutch oven while stirring to deglaze the dutch oven add salt and pepper to taste and continue stirring. Let come to a light simmer and then place the browned short ribs back in the pot spacing them evenly apart, then nestle the rosemary and thyme all around in the dutch oven and pour bacon back into the dutch oven. Once they're done place all of the meat on a warmed dish and tent with foil to keep warm and place on the side. With a spoon carefully take out only the rosemary and thyme sprigs and then carefully de-fat the braising liquid by carefully pressing your spoon flat over the liquid and slowly letting the fat run into the spoon. (Don't completely de-fat it, you just want to remove that pool of fat that develops in the dutch oven that creates an undesirable texture when there is too much. But you do want a little bit at least, that's where the flavor is! Place dutch oven back on stove over medium heat and reduce braising liquid slightly. 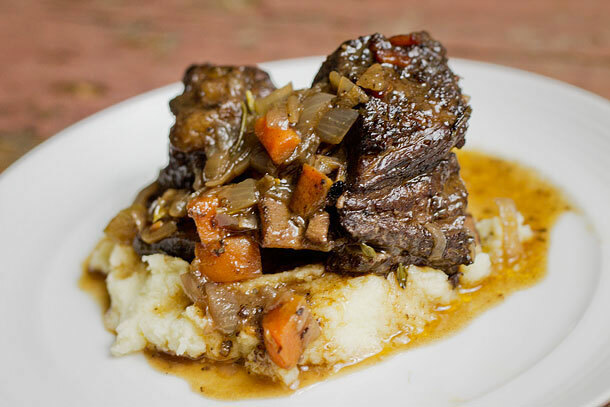 Turn heat off and serve meat with your choice of side and reduced braising liquid and vegetables spooned over the short ribs. At the two hour mark if you choose you can check and make sure you have enough liquid left in the pot to continue cooking. 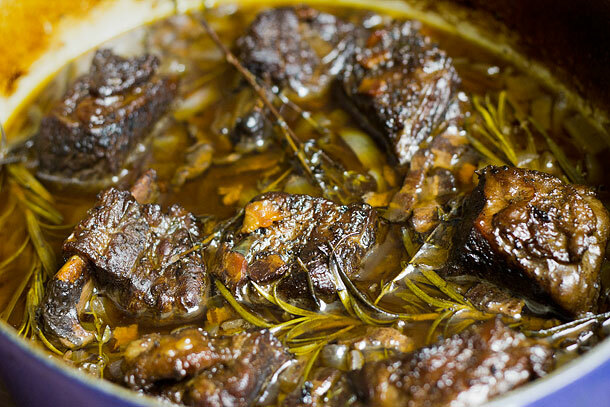 The braising liquid should be about halfway above the short ribs or higher when you check. Also, make sure it isn't simmering too vigorously. If it is simmering too vigorously lower the temperature by 10-15 degrees. Lastly dont be worried about the alcohol in this recipe because the alcohol actually cooks off as its cooking. Not only did you make me want to have short ribs for dinner, but you also made me want to buy the cookbook you mentioned! You have a way with words, and a way with food. I am probably not the first to ask you this, but when are you coming out with a cookbook of your own? I’m ready to pre-order it today! Btw, I bought short ribs at the farmers market last week for the first time and plunked them, without fanfare or vegetables, in the crockpot with some bone broth. I didn’t really expect much. But they were so awesome that I couldn’t stop saying yum as I gobbled them down. I was tempted to tell my husband that they were a flop so I could have them all to myself. Now I am imagining how much more delicious they could be if I cooked them in a manner that honors their awesome potential. Its time to dust off my dutch oven (Christmas present two years ago that has never been used) and try my hand at braising. These sound amazing! I have Korean inlaws who do quite a bit with short ribs, before that I had never even heard of them! It really is such an awesome cut of meat, but I tend to get stuck in a “these-are-the-flavors-I-know-and-love” rut, which makes it hard to branch out on my own. I’m feeling pretty courageous today though, thanks to your lovely recipe- gonna give it a try this weekend! Looks awesome. 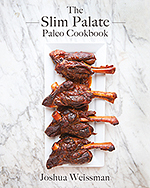 I just picked up some of these ribs for a Nom Nom Paleo recipe. Looks like a rib weekend! Question – you linked to a 3.5 qt Dutch, is this the size you used? Is this a good size for a family of 4 plus leftovers?? Thanks!! Yes I used the 3.5 qt and it was large enough for 3 people and as you can see in the picture I actually had room for more short ribs. The only thing is that you will have to brown the short ribs in batches so you don’t overcrowd the dutch oven. Be sure you don’t overcrowd the dutch oven that way you get good browning because when you overcrowd it the meat tends to steam and you don’t want that too happen you just want the surface of the meat to get good color. Good color means good flavor. 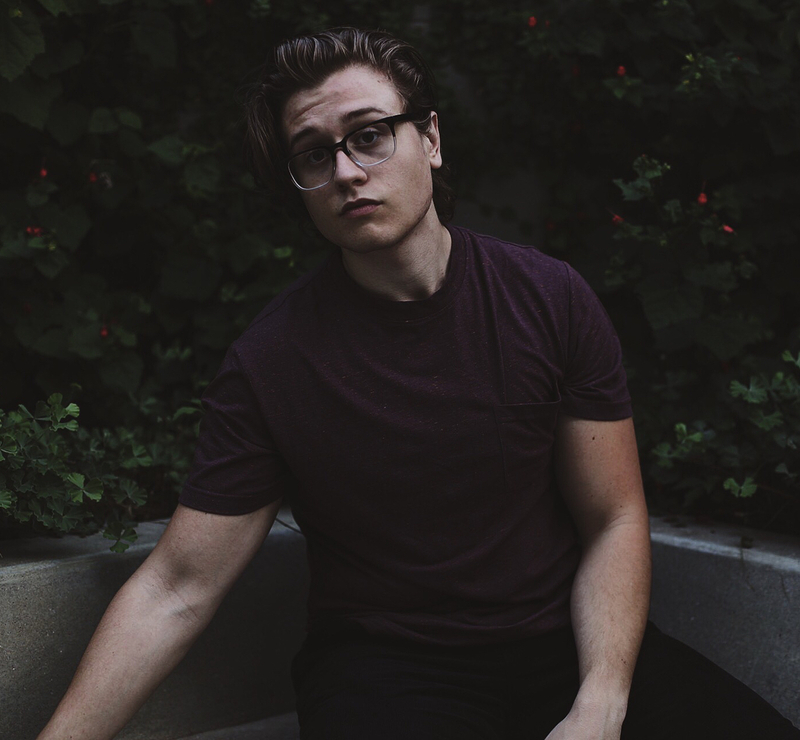 Thanks Josh! Man I wish the Le Creuset weren’t so expensive!! I’ve been drooling over these Dutch’s for a while. I know Becky they are quite expensive. I’m saving up for a larger sized one but the 3.5 quart actually gets a lot done in itself. Well worth it in my opinion, especially for really easy one pot meals. Ok – so I made these for dinner tonight (and they were amazing) – except for one thing – the excess fat that we seemed to need to cut from every bite. Is there some way to avoid this? Did I buy the wrong ribs or do something wrong? 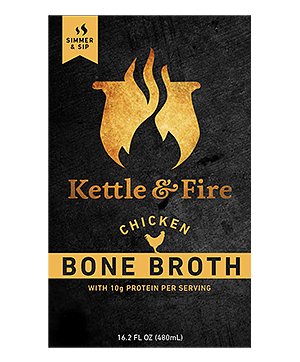 Would love some advice – the smell of this cooking all day was incredible!!!! That is an interesting note Jennifer. Short ribs are a fattier piece of meat, but really not by that much. Short ribs do have a lot of fat that lines through the entire piece of meat but that’s what makes it so succulent, and most of it usually melts away into the pot. Maybe it’s you are confusing it with the tendon that connects the bone to the meat. It’s also possible you could have just gotten a bad batch of short ribs which can happen on occasion because I have never had to cut the fat out of mine. Sometimes there is a little bit of fat on the top from the fat cap but It’s usually minuscule and actually tastes pretty good. I sometimes have to trim my short ribs, but only a tiny bit because you want a little bit of that fat cap that’s on the short ribs and if you butcher them to much you wont have very flavorful or succulent meat. I will be making these again and again and again. That’s wonderful Laura! I love them too, and I am so happy to hear you love them as well! The cool thing is, the more you make them the easier they become to make and they can easily become one of the easiest to make weeknight meals ever. If you do make these again please send pics I would love to see the finished product. Hi Joshua – I just dropped by from The Kitchn’s post and stopped in my tracks when I saw this. A good braise is a perfect meal and really is worth every second you spend drooling over the smells coming from the kitchen, isn’t it? I’m always looking for paleo inspiration so your beautiful site is going straight into my rss feed. I completely agree, I love a good braise. Thanks for the wonderful comment and praise, I really appreciate it. I made these this weekend and they are DELICIOUS. After browning them, I cooked them all day in a crockpot. Then I reduced and strained the sauce, and skimmed off most of the fat (in the fridge overnight, the rest of the fat congealed on top and was easy to discard). And thanks to The Kitchn/Apartment Therapy, where I learned about your blog! Thanks Karen, I’m glad you liked them. This is an excellent alternative if you don’t have a dutch oven or braiser. Well done! Although I suggest you try the dutch oven method if you have one because they turn out the best with that method in my opinion. It also takes a lot less long in a dutch oven. Send pics next time you make it (if you make it again) I would love to see the final product. Thank you for sharing the recipe. I added some frozen spinach since I had about 1.75# of meat. Absolutely amazing. I hope there is left over sauce when its all said and done because I would just drink it. I agree the sauce is pretty mesmerizing. I often take a bit of extra time before serving, “tasting” the sauce for any “defects”. I think you should still be able to fit it all in there.It’s okay if the meat is touching before you put it back in the oven, just be sure to brown it in batches so you don’t overcrowd the round braiser and get good browning. Let me know how it goes AJ, and send in some pics via Twitter, Facebook or Instagram if you get the chance and I might share them on my Twitter or Facebook. My Instagram is jweissman27 I believe, can’t wait to see the results! Just wanted to say, I made this recipe for some friends last night, and it was a gigantic success. Followed the recipe exactly to the letter, except I added a few cloves of garlic that I chopped up and added in with the vegetables. 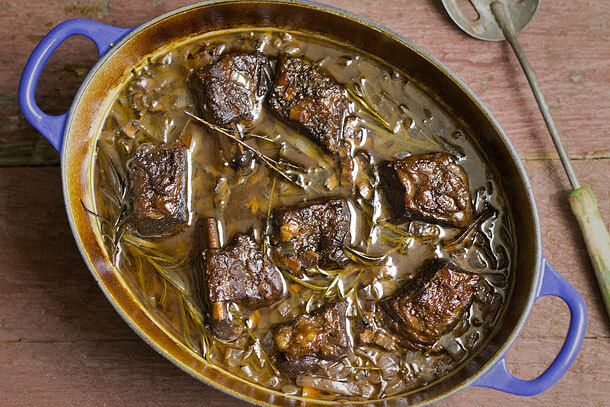 Pure heaven… I’d never made short ribs before, and this is going to be my go-to recipe forever. Thanks for posting it! Made these tonight…Wonderful! Amazing! Delicious! The wine…bacon..yummm! I used pork loin cut ribs and they just melted in my mouth. Thank you! This was incredible!! I found your recipe on Pinterest while searching for Paleo recipes and we had it tonight for dinner – we may lick the bones! First time making short ribs and I don’t think we’ll ever try another recipe :-). I have about a cup of sauce still in the pot and I am wondering what is the best way to preserve it for use on something else this week – any suggestions? I made these last year and they were fabulous!! I plan to make them this weekend for a dinner party of 7 adults, would you recommend that I double or triple the recipe? Also what size braising pot would you suggest? Thanks! You might need to triple it. And you would need larger than a 7 qt. Will this increase the cooking time?